Schumann, Robert, 1810-1856. Mitt Gott. Andante with variations on an original theme in G major, F7 and Konzert-Etüden nach Capricen von Paganini, no. 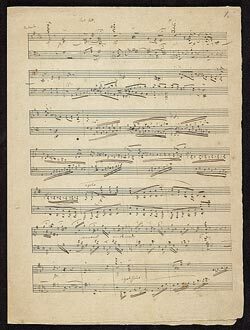 2 (fragment): autograph manuscript, 1832 Jan. 4.